My lawn looks like crap. I was going to say I blame myself but it’s in part, Murphy’s fault. It’s true. I swear. 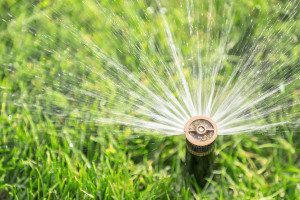 Oh, I admit that I forgot to notify the sprinkler guys to come and turn it on until after Mother’s Day. My mistake. I know. Why didn’t I just turn on the system myself, you ask? I knew there were likely cracks, splits in the line, broken heads, you name it. That’s the other reason I’ll share the blame. I remembered too late to have the system blown-out last fall. I called. No one answered. I left a message. No one called me back. I suspect they couldn’t stop laughing hysterically at my request to get an appointment. It was the first week in December, about the time I remembered to cover the oh-so-sensitive-don’t-let-me-get-chilled copper pipes that some idiot designed to go above ground for my sprinkler system. It’s Denver, Colorado for heaven’s sake! Who puts pipes above ground in Denver, Colorado? That is where my culpability ends, however, and where Murphy takes over. Between Mother’s Day and when the sprinkler guy came out, ninety-degree weather. Did I mention its Denver, Colorado? It’s not supposed to get that hot for at least several more weeks. It didn’t stop at one ninety degree day. No there were several ninety or near ninety-degree weather days in late May! It fried my parched lawn. The fertilizer finished the job. It wouldn’t have, but it was put down in anticipation of the sprinkler guy coming and, not just turning on the system, but also repairing it – at the same time – the same day. Which didn’t happen because he didn’t have the right parts. When he returned later (I was out of town by then), it was raining. For some reason he thought that was an excuse for not finishing the repairs. Lightning and copper pipes might have been in his equation. Enough rain to scare him away but not enough to give my lawn a decent drink. 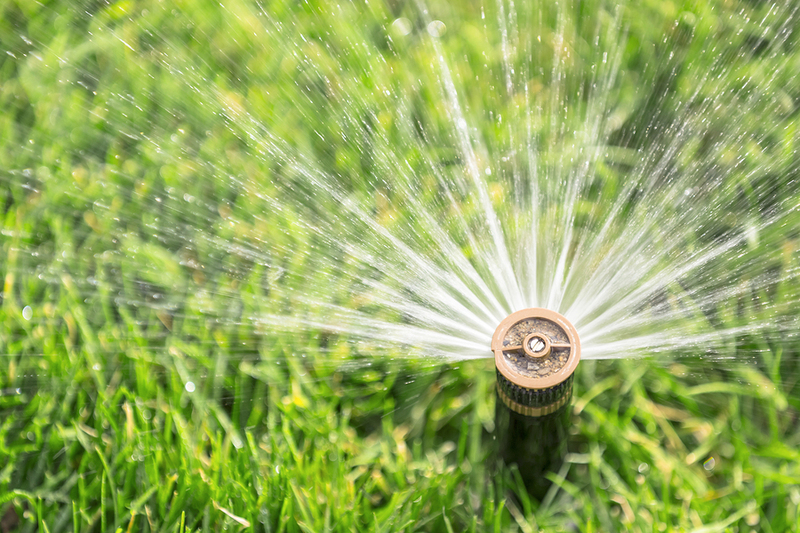 When I came home two days later and realized what happened, I got out of bed every two hours to move my old sprinkler and too-short hose around my lawn in the middle of the night. My lawn would not go down without a fight! The next morning I called about the unfinished sprinkler job. They wanted to reschedule two weeks in the future. I informed them my lawn was on its last blade of green and would not survive another day much less fourteen. They sandwiched me in and he returned today to finish the repairs. He ended up replacing a major valve, eighteen-inches of copper pipe, one major sprinkler head and three minis in my garden. I thanked him profusely and turned on my system to give the yard all the water it wanted. Not five minutes after he drove away, another sprinkler head blew and Murphy spit a continuous stream of water twenty feet into the air just to make sure I, and the rest of my neighborhood, noticed. I didn’t curse. I didn’t throw myself on my lawn to kick and scream. I wasn’t going to give Murphy the satisfaction of a reaction. I’m praying for rain.